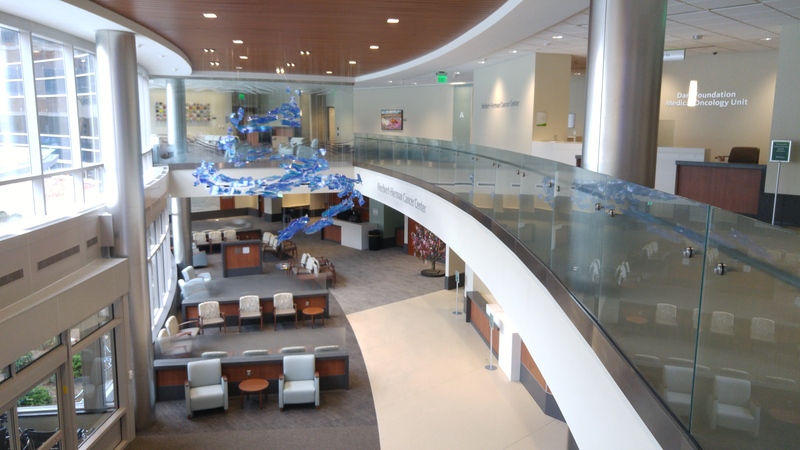 Freund & Associates relocated over 150 caregivers to the new Sparrow Herbert-Herman Cancer Center and Thoracic Cardiovascular Institute in downtown Lansing, Michigan. Caregivers included medical oncologists, radiation oncologists, cardiologists, a clinical trials team, registered nurses and administrative staff. Freund was also responsible for the relocation of over 200 medical equipment items including ultrasound machines, infusion pumps, exam tables, electrocardiograph machines and more. Moves took place in 5 phases throughout the month of July 2017 from 4 different origin locations across the Lansing area. I just wanted to send you a quick note to thank you and your team for working side-by-side with our Cancer Center leadership team to successfully move our large patient care department into our beautiful new building. From the beginning, you were organized and confident which empowered our leadership team to communicate clearly and calmly with staff during regarding the move management process. When the actual move day arrived everyone was prepared, excited, and positive. The move went off without a hitch. Thanks so much for your professionalism and incredible organizational skills. I highly recommend Freund and Associates for any major move management project.